Summary: Microsoft Expression Encoder 4 is the Microsoft screen recorder that you can to record your desktop screen. But there are many powerful screen recorders with more powerful features. Here we will list some better screen recorders that can replace the Microsoft screen recorder. If you’re looking for a good screen recorder that works on PC you’ll probably not think of Microsoft Expression Encoder 4 as your first choice. In fact, most people aren’t even aware that a Microsoft screen recorder even exists, mainly because the software has been discontinued some time ago. But while Microsoft Expression Encoder 4 is rarely used on Windows 10, this tool was actually pretty important for some of the previous versions of the operating system. With it, you could record both video and audio as well as customize the screen capture in various ways. There are a number of better alternatives out there nowadays, but just in case you’re still using the Microsoft screen recorder, let’s first take a quick look at how the software works before we talk about some of the other similar tools currently available. 1. Open the screen recorder utility from Microsoft and you’ll be presented with a number of options to choose from before you start the actual recording process. You can use these options to record using your microphone or webcam and there’s also a button that opens up the Settings menu. 2. In case you only want to capture part of the desktop, you can simply drag your mouse across the screen to highlight the specific portion you want to capture. Skip this step if you want the Microsoft screen recorder to capture your entire desktop. 3. Once you’ve made all the necessary changes it’s time to start recording. To do this simply press the red button to the far left labeled Record. A short countdown will commence followed by a notification sound that tells you when the recording process is beginning. 4. Click the Stop button once you want the recorder to stop capturing your screen. A new window will appear that lets you preview or delete the recorded video. If you want to further edit the video make sure to click on the button labeled Send to Encoder. If you’re using Windows 10 or are simply looking for an alternative to the default Microsoft screen recorder we have some recommendations that you may want to consider. We’re focusing primarily on the Windows versions of these tools but it is worth noting that some of these alternatives are also available on different operating systems like Mac and Linux. Some of the tools are entirely free while others also offer premium versions but we’re not recommending these tools based on pricing because it’s up to you to decide if you want a free tool or a premium one. We’re only interested in their capabilities. This is a very popular tool for those looking for a Microsoft screen recorder alternative designed for Windows 10. Camtasia Studio offers all the tools necessary to create professional-looking videos on your PC fast and easy. The software is intuitive and simple to use even by those that have very little previous editing experience, making it a good choice for beginners. The downside is that this is a fairly pricey piece of software, though luckily there is a trial version that you can try for free. Fraps is a well-known Microsoft screen recorder alternative that’s particularly popular among gamers. The reason for that is that this tool provides you with a clear and easy way of monitoring your FPS regardless of which game you’re playing. In addition, Fraps can also be used as a screenshot capturing and video recording tool. The software lacks many of the advanced features offered by similar tools but it makes up for that by being lightweight and extremely easy to use. Another great alternative for Microsoft screen recorder on Windows 10 is Open Broadcast Software, more commonly known as OBS or OBS Studio. Just as its name suggests, this is an open-source tool that’s primarily meant for streaming. Just like Fraps, OBS is very popular among gamers, especially those who make a living by streaming on platforms like Twitch and YouTube Live. Unlike Fraps, however, OBS does offer a plethora of advanced options to play around with. Much like Microsoft Expression Encoder 4, CamStudio has been around for a very long time and is well-known among veteran Windows users. You’ll likely want to use a different a different Microsoft screen recorder alternative if you’re on Windows 10 but if you’re using an older version of the OS this is not a bad choice. Despite its age, CamStudio remains a viable choice to this day thanks to its simplicity and its minimalistic interface. The last Microsoft screen recorder alternative we want to recommend goes by the name of Action! This tool was designed with HD video capturing in mind and can be used reliably to record tutorials, gameplay footage, YouTube videos and pretty much everything else you can think of. You can record videos with or without sound and also use the tool to capture beautiful screenshots. The tool is not free but might be worth the price if you’re looking to record a lot of HD videos. As you can see, there’s no shortage of Microsoft screen recorder alternative out there. Whether you’re looking for a tool that’s simple to use and free or one that’s more complex but comes with a price tag, you’re certain to find the perfect software that will allow you to record your desktop on Windows. But what should you use to record to an iOS screen? Well, you can definitely do that as a Windows user but you’ll need an entirely different tool altogether. DVDFab Screen Recorder & Editor for iOS is the perfect tool for recording and editing video and audio on your iPhone or iPad. The software is great both for those looking for a simple screen capturing and for those who want to make professional videos. 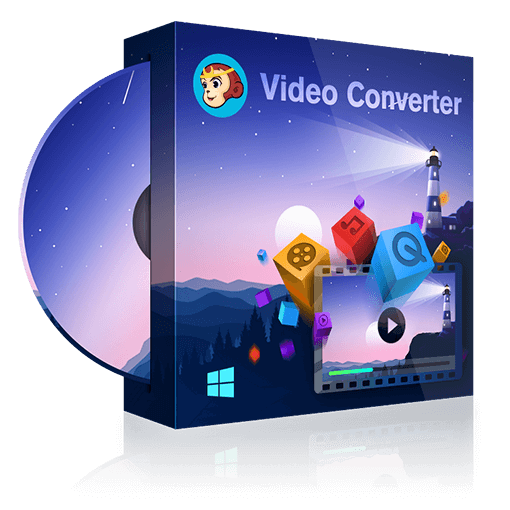 With this tool, you can trim or crop videos, add watermarks, picture-in-picture effects with the use of your webcam, and much more. DVDFab Screen Recorder & Editor for iOS is a premium tool but also offers a trial version that you can try for free. Before deciding to watch an Iranian movie, it’s better to check the article. Here we have picked out top 10 best Iranian movies on YouTube till 2018. Here are the best iPhone 8 video converters to rip DVD/Blu-ray and convert video to video files playable on iPhone 8/8 Plus.